Dezzo Roofing specialises in the manufacture, supply and installation of lightweight steel roof support systems, a viable and cost-effective alternative to conventional timber roof systems. Dezzo Roofing has been involved in numerous projects across the continent, ranging from residential houses and rural schools, to social facilities, hotels, factories, army barracks and office buildings. We are at the forefront of lightweight steel roof trusses, specifically designed and manufactured to carry concrete roof tiles, steel sheeting and fibre cement sheeting. Our product range caters for all roofing styles – from basic lattice and girder beams to profiled steel sheeting and trusses that can hold concrete, pressed steel, or any other profiled steel roof sheets. Dezzo Roofing supplies a knockdown kit that includes trusses, battens, tilting battens, beams and purlins. All the Dezzo Roofing steel components are manufactured from zinc and aluminium coated steel. This makes them superior because they are stronger, lighter and more economical to use than traditional roofing system materials. For more information on our timber roof truss designs and manufacturing or our steel roof trusses, contact Dezzo Roofing today. 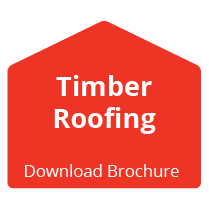 At Dezzo Roofing we are pleased to provide our clients with top-quality, professional products and materials that are manufactured independently at our timber truss processing plant. We pride ourselves on our professional and trustworthy work ethic. We manufacture top-quality products with our clients’ needs at the forefront of our work. Specialising in treated timber roof trusses, Dezzo Roofing’s processing plant is an ITC approved manufacturer with each design being tailor-made to suit the client’s needs and requirements. Each of our projects is carefully carried out utilising I.T.S Software that enables us to ensure the manufacturing of only the best quality roof trusses – focusing on the middle to upper-income residential markets, schools, office blocks, and smaller commercial requirements. This segment of the market is usually supplied with sheeted roofing systems, however over the past few years Dezzo Roofing has worked in conjunction with a concrete tile manufacturer in order to supply communities with concrete tiled roofing systems, using our lightweight support system. 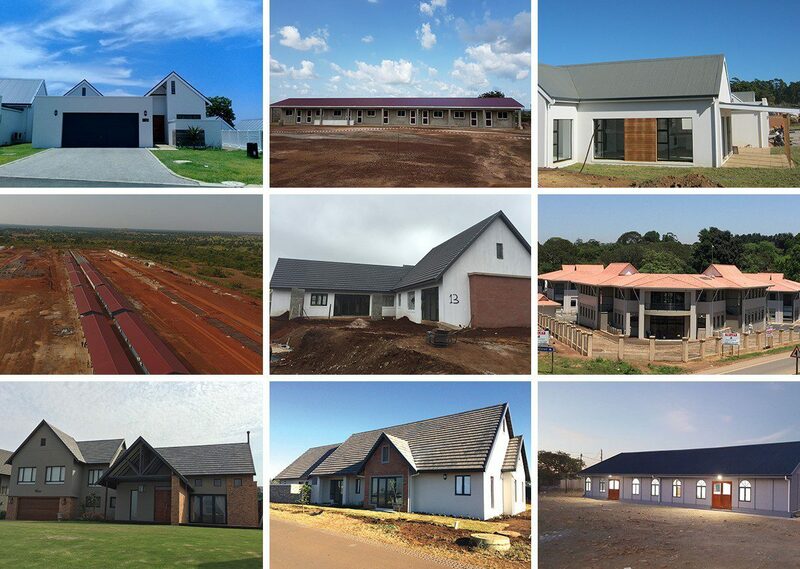 This roofing solution has proven to be a winner amongst communities, municipalities, government and developers. Dezzo Roofing also offers a range of lightweight steel systems for the RDP market. These steel systems have all the advantages offered by the steel trusses. These options include combinations such as beam or truss and sheet (galvanized or fibre cement), as well as truss and concrete tile. 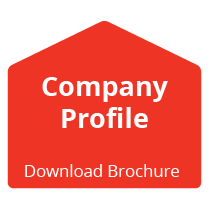 Dezzo Roofing has completed a range of industrial, commercial and residential projects, including several residential homes, shopping centres, factories, schools, clinics and churches, to name but a few. Dezzo Roofing is actively exploring these areas in the marketplace.